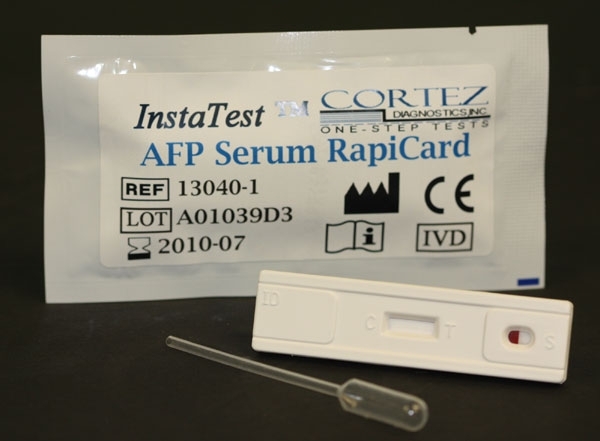 AFP Serum Rapid Test (Cassette) | CE-GMP | 818-591 3030-USA. 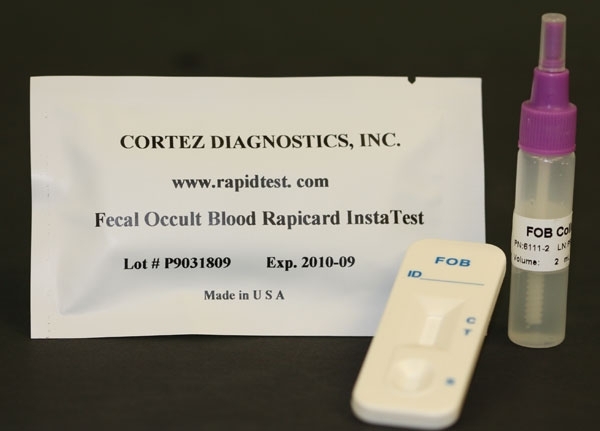 Diagnostic Automation/Cortez Diagnostics Inc OneStep AFP test is a colloidal-goldantibody-complex immunoassay for qualitative determination of human alpha-fetoprotein (AFP) in serum or plasma. It is intended as an aid in the monitoring of patients for disease progression or response to therapy or as an aid in the detection of recurrent or residual disease. AFP was first found in the sera of human. AFP is a single-chain protein showing close sequence homology with serum albumin. It is suggested to play a role in transporting polyunsaturated fatty acids to developing and malignant cells because of its high affinity to these substances. Studies also indicate that AFP may function as an important in vivo immunoregulator that acts through T cells. Synthesis of AFP in the human yolk sac ceases between the tenth and twelfth week of gestation. The major portion of the protein is then produced by fetal hepatocytes. The upper limit for normal sera is about 9 ng/ml, while levels above 175 ng/ml are highly suspicious of hepatocellular carcinoma. While 82% of patients with clinically verified tumors have higher amounts, 98% of patients with metastatic liver disease have below 175 ng/ml. It has been shown that the elevation of serum AFP in benign hepatic diseases is usually transient. Many studies confirm the presence of AFP in the early stages of fetal open neural tube defect (NTD). In these cases, AFP is thought to leak directly into the amniotic fluid and subsequently enter maternal circulation, thus producing abnormally elevated levels of maternal serum AFP. The OneStep AFP Test is an immunochromatographic assay which utilizes a unique combination of monoclonal antibodies to electively identify AFP in serum or plasma specimens with a high degree of sensitivity. Elevated levels of AFP are detected in ten minutes or less. Serum specimen flows through the absorbent area of the reaction strip and migrates along the strip membrane. In the absorbent area, dye-conjugate anti AFP antibody binds to AFP molecules in the specimen forming a colored antibody-antigen complex. Anti-AFP antibody immobilized in the test zone of the membrane captures the antibody-antigen complex causing a visible rose-pink color band, indicating a positive result. For additional details please refer to the instructions for use. 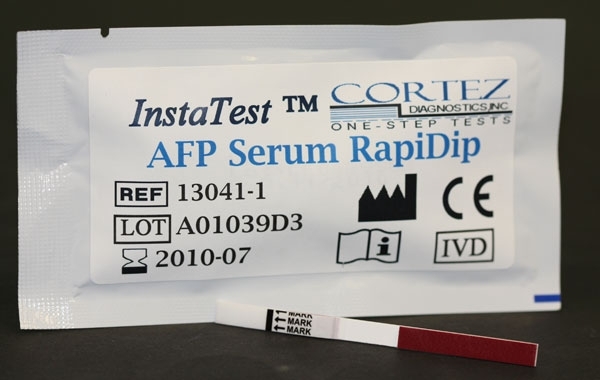 See AFP Serum Rapid Test Product Insert for specific details on preparation, procedures, quality control, and interpretation of test results. 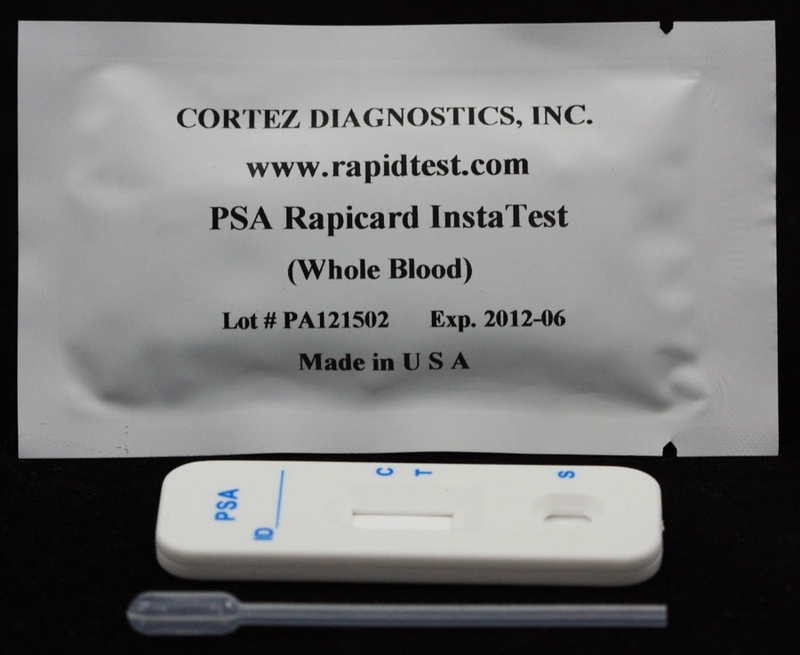 Diagnostic Automation Inc. also offers other Cancer Rapid tests, and Cancer ELISA test kits. 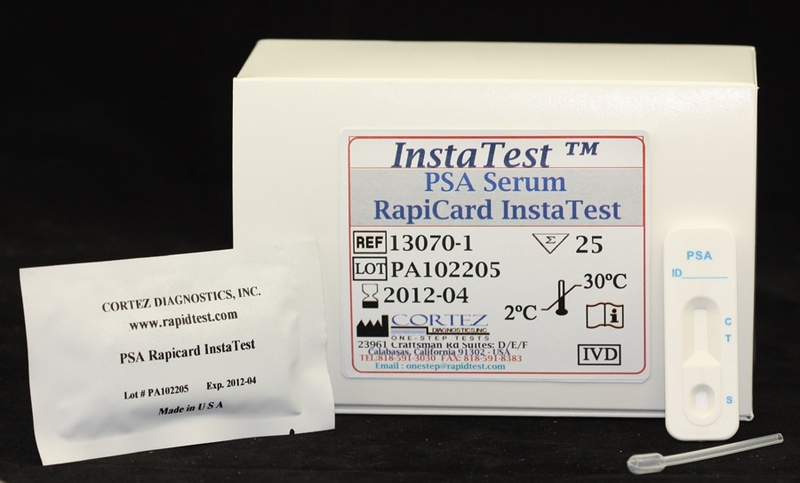 For more information about this AFP Serum Rapid test (cassette), or CLIA tests, IFA kits, or ELISA test kits, please contact our Customer Service Representatives at 818-591-3030. *Not to be sold, shipped, or distributed in the United States. Diagnostic Automation Inc. offers an AFP Serum RapiCard Insta Test (cassette) which is a rapid, direct binding test for the detection of Alpha Fetoprotein in serum. 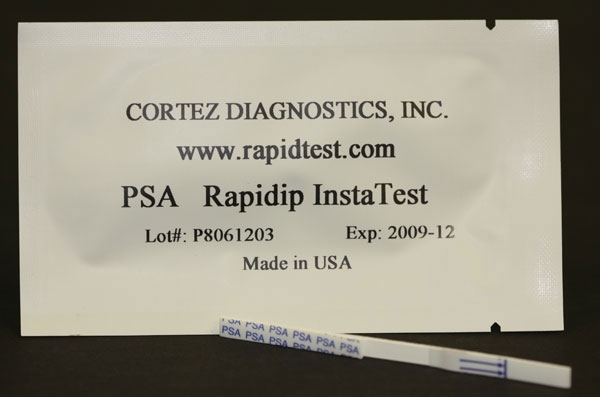 The AFP Rapid Test is used as an aid in the diagnosis of primary hepatocellular carcinomas, testicular teratocarcinomas, and neural tube defects.